I have lots more to share from our trip to Waco, but first I wanted to show you something I did today. 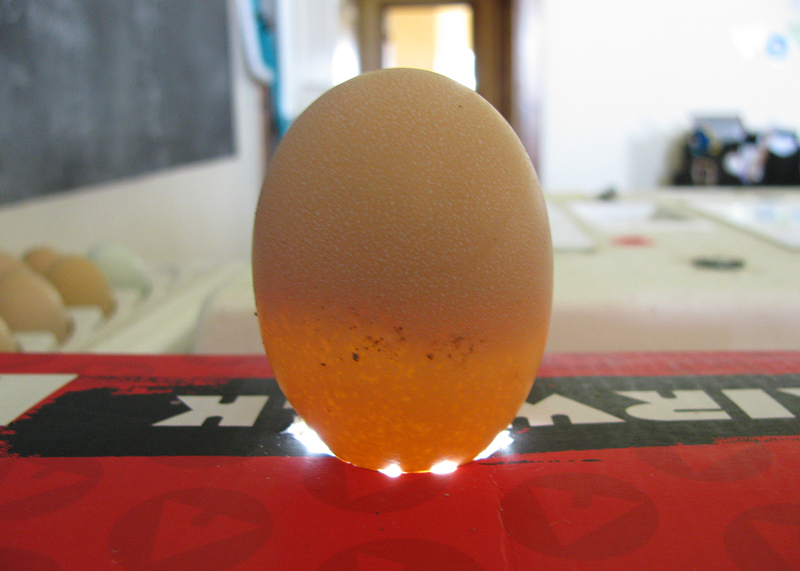 Right now, we are incubating chicken eggs. These were laid by my hens, some Barred Rock, some Ameraucana, and a few that are a mix of Barred Rock with something else. My rooster is a Barred Rock. I want to get my poultry on a cycle. My hens are still young and laying well. Then hens I hatch in a couple of weeks will start laying in March of next year. I think this will be a perfect time to butcher the old hens (except my Ameraucanas) and let the new ones take over the responsibility of supplying our family with eggs. My plan of course has lots of variables. Today was the day I checked the first one. I candled all the eggs to check for viability. 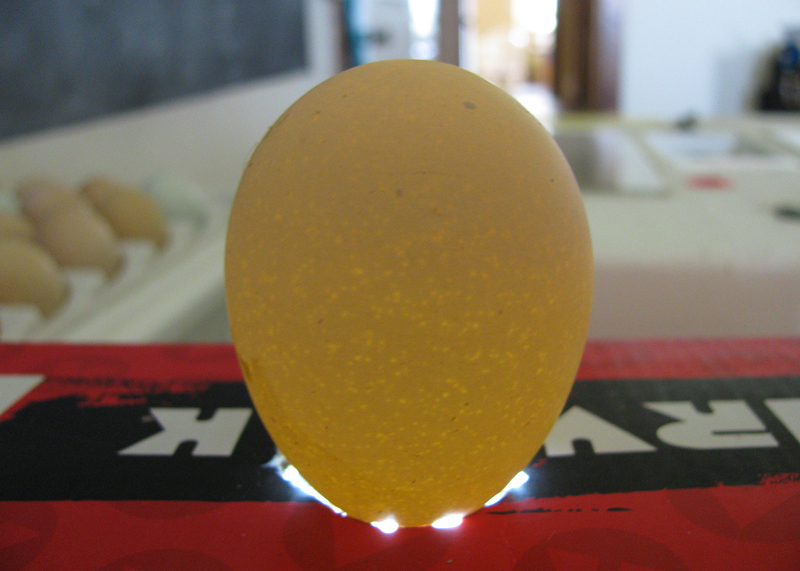 Candling eggs is the easiest thing in the world, and within just a few minutes I had culled all the "dead eggs." I'm sure you can see the difference. The good egg has a cloudy mass inside that you cannot see through. I was very glad to find out that all my Ameraucana eggs are viable for now. It's very likely that some embryos will die and when I candle them again next week, I'll have more that are clear again. Cool cool! My husband has suggested we let a hen and rooster have some chicks here. I keep saying next year. hee hee! Hi! Popping over from SITS roll call from earlier today to visit. Interesting. I never knew that. But since I love to eat eggs, the less I know about all that the better I guess lol! Hope everybody is getting better! My husband came home yesterday sniffling and sounding like he was coming down with something and I'm scared to death of that H1N1 stuff, so I make him start on the Airborne (and so do I) to hopefully build up the old immune system!